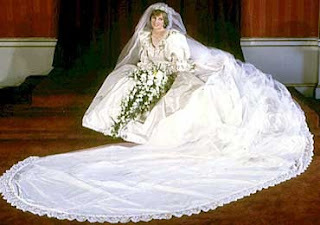 I , like many, was a young girl jumping out of bed at 4AM to watch THE wedding, the wedding of Lady Diana Spencer to Prince Charles. A royal watcher since the day she came on the scene, before the official engagement announcement even ,and I have been ever since. That day was amazing, and so in many ways was the life that came with it. She was not perfect, but loved all the same. She invigorated the Royal Family, and because she was a young lady with a love of fashion like anyone her age, she also became a fashion icon. 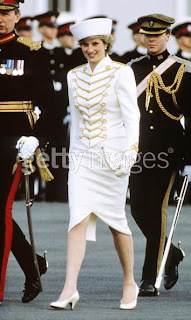 Some of her choices may seem odd or dated all these years later, but I assure you , most were high fashion at the time, like the Majorette outfit she wore to a base visit. That was a look then. In memorial of the tenth anniversary of her passing, I wanted to pick some of my favorite looks/images of her. Some are ones that are pretty familar, but others are not seen as often. For instance, the one where her hair is all wet. 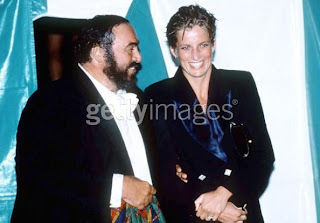 That was taken at a Pavarotti concert, held outside in Hyde Park. I remember seeing that picture the first time when it was published, and wondering how anyone could that good in a soaking rainstorm. Golden glowing skin, lipgloss all there( did she make a pit stop first ?) I think she looks so perfect here, the only photos that top it are the famous Testino sittings. The plaid outfit was for the Braemar Games in the early 80s. 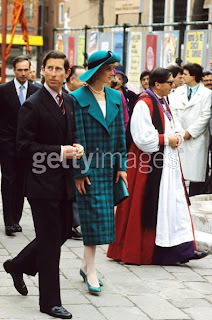 ( Look at that young face) The plaid and green suit also 80s on a visit to Venice. The mint green dress shows her wearing a pair of shoes you'll see in many pictures if you look closely, and have been said to be her favorite pair. Good choice, as they are quite nice. The Patrick Demarchalier photos of her in her black top and legging and gown and crown were so beautiful, appearing on a magazine cover, I thought them some of the best photos I had seen( and not just of her). So well done, and capturing the Princess differently than we had ever seen her. The tiara shot is in what's said to be one of her favorite dresses. A regal portrait. The last from the Mario Testino's shoot, that was in Vanity Fair only just before she died. These are beyond beautiful and show such a modern woman. I have and have saved that issue. So far on, can it really be that long ? For those of us of that era, watching the telly on a really early morning, it's hard to believe. 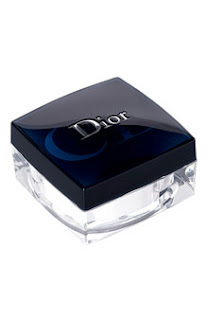 New at Nordstrom is this powder from Dior. I really want to try this, any powder that helps foundation last longer sounds good to me. 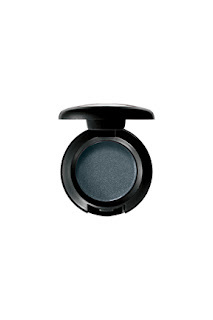 I have been using MAC Set Powder and like it a lot, but am quite willing to try a new one. DiorSkin Extreme Fix is a long-lasting setting powder that offers flawless finish and extreme foundation hold. This powder optimizes foundation wear while assuring a flawless finish to the skin. China Glaze is releasing a new collection called X to commemorate their 10th anniversary. Twelve all new colours make up the collection, ten inspired by roman numerals and two signature reds. In the picture I have on one of the new reds- Red Pearl. Both reds are true reds. and will be wonderful fall/holiday party shades. I really like the Red Pearl a lot, and I think I need to find and try out the Plum Creme. 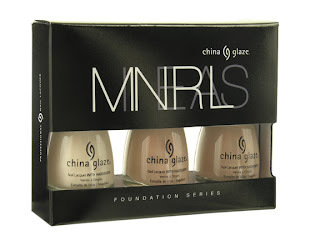 "China Glaze Minerals Foundation Series. because they are essential color for every nail lacquer wardrobe. They brighten your Neons, Intensify your Darks and Perfect your French Manicures. All great creations are built on a perfect foundation. 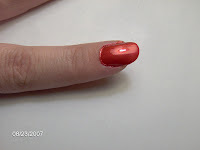 China Glaze Nail Care Cosmetics, No DBP, Toluene or Formaldehyde. Had fun yesterday testing the new MAC lines. 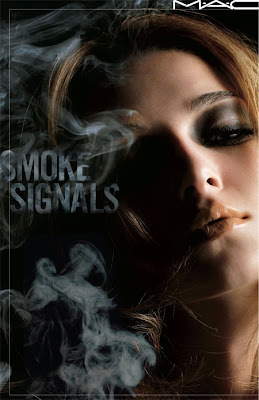 This is a collection for the smoky eye look, and it's all there . if you get an eyeshadow or 2, an eyeliner, and lip gloss/stick, put it on with some blush-voila- instant smoky eye look with little time required. Thats kind of nice, especially since I have spent much time perfecting an eye like that before. Smoking Eyes Quad pictured is great. The bottom right black is sparkly and darker than the pic, and perfect for lining. 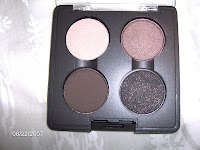 The top right is Satin Taupe, a beauty of a plum taupe, and totally different from the deep brown Satin Taupe I have from around 10 years ago. My favorite items here are the nail polishes and kohl eyeliners. Dark eyeliner and I have a love/hate relationship. I rarely get it on right.Many ladies are a wiz with eyeliner, I'm not always one of them. Fluidlines helped immensely with that and they are a favorite. I like liquid liners as well, but dark pencils were always a no go. These new MAC kohls are go on easily with no drag, have a very fine point that seems to work pretty good for me. The colors are fun too. Besides dark black( Feline), there is a golden deep khaki( Orpheus), a pretty dark hunter green( Mystery Green) that has flashes of emerald, a deep burgundy that is very close to black and a perfect fit for it's name ( Raven). Orpheus and I will be good friends, but really I like them all. 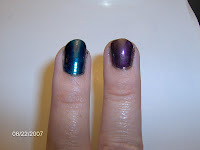 Did a test swatch pic of these, but it just didn't show the colors well enough. The nail polishes are fall worthy shades. 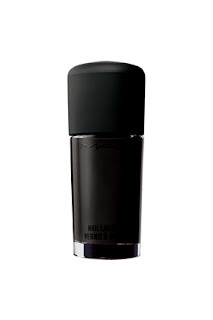 I have mentioned before that I always liked MAC polishes, however the ones I have are the old ones in the square bottle. ( I have vintage MAC that they might want for the archives at this point). So these bottles, are new to me. I love the deep green -teal one. I immediately thought of CincyFan, the nail guru over at All Lacquered Up. She is always hunting for a great green- Cincy this is for you. It is not green or blue or teal, but kind of greenish teal that moves around a bit. I like my greens too. The fav though is Rainy Day. 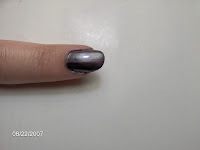 Goes on sleek and shiney in a purple accented gunmetal. Wildfire was the hardest to go on right, and really needs almost 3 coats. In the pic with 2 fingers is Whirlwind ,then Wildfire. The single one is Rainy Day. These were with no base or top coats. Just quick ones for swatching. These are in stores now, and I just have to decide which one to paint nails in now. YSL has new perfume due in October called Elle. Pretty bottle, but that dreaded pink pepper note again. That said, it sounds like it might be nice. Not sure when if the US release is the same as Europe, so it may not land here right at the same time. "fresh, floral-woodsy juice, with notes of patchouli, Bourbon vetiver, citron, litchi, peony, pink pepper and freesia"
I have been perusing several of the new big September issues and thought I'd weigh in with some thoughts. Commentary basically, which I like to do, but don't include here much. Why ,oh why , another Lohan cover? Wasn't she just on there in the past year? I am not against Lindsey, just think she is overexposed, and have heard more about her than I could possibly want to. Also, when I think " High Fashion" , she does not come to mind. In the interview with her, the author notices lots of paparazzi on the walk behind the restaurant, and behind where Lohan sits. She ( author)also says there are a couple " tubby tourists" with cameras ready. That was really uncalled for, and unkind , in my opinion. Not everyone can be a size 2, most people aren't,and no matter what size they are, lets not be name callers. Yes tourists often dress bad, preferring comfort over fashion, and yes, I dread that look, but sometimes all that schleping around without a limo to haul you and your stuff requires comfy shoes. I mean, we could all follow just Lindsey's way, and presumably let the cocaine keep us thin, but that's not too cool is it? ( In all fairness, she or the author may not eat for all we know, but thats not really good either.) yes exercise and diet are important things, but because someone doesn't practice them well, or at all, is no reason to reach out and smack them through print. It came off , to me, very uncharitable. Now, I like ELLE mag, in general. I have been reading since the inaugural issue eons ago, and they are a fashion mag, so to be sure, those for whom fashion does not apply is not their game or audience, but being a little kinder should be everyones. Ahh, the big September issue. How I , and many wait for it. The doorstop, I call it. Kudos first off to having not one but two pieces on Tennis. A page on the outfits of Wimbledon ( where somehow Roger Federer manages to outshine the ladies fashions with his natty outfits), and a piece on two up and coming great players and their look. Vogue has always been tennis friendly, which is good. I hear that Ms. Wintour is an avid player, so perhaps thats why. 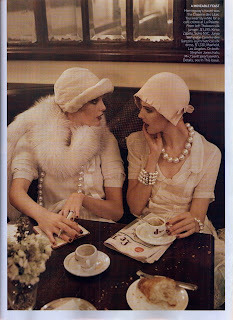 I am in love with the looks in The Je T'aime Paris - Cafe Society feature. I want all those hats. Pat Mc Grath did a great job with the makeup as well. Speaking of Ms. McGrath, how nice too, to see a big feature on her, someone whose makeup takes up more space than mine. Overall, though, I like the Sept. issue but didn't love it. Sienna Miller again?? Not only is she not someone I don't thrill too see on a cover, but I wasn't into the photo either, and I really can't believe I am saying that about a Testino shot. Plus, were her eyebrows just too dark, or is that just me thinking it looked so- so. Sienna ,as has often happenned with cover shots, didn't quite look like herself either. Although, she looked way better than poor Cate Blanchett, who a supreme beauty all on her own, was almost unrecognizable by the time they got done digitizing her cover shot. All that hats and gloves, and jewelry in the issue though, loved it. Sara Ramirez ( Greys Anatomy). I mean have you seen her Got Milk ad? Fabulous . Ok thats my bit . No offense to anyone, just my small take on things. In September, Michael Kors is releasing a new fragrance called Very Michael Kors. This new fragrance still carries much of the signature tuberose of the original, but had an added citrus fruit twist, some black plum, osmanthus and sugar cane. Very MK was a sparkly( and I hate to use a seemingly overexposed word in perfume talk, but it suits here ), burst on my skin. The fruits are more to the fore than the floral but this is not a " fruity floral " fragrance". There seems to be a nice balance between the fruit and the floral. Initially a citrus-y burst comes out ,quickly joined by the tuberose lightly. The drydown is more true to the original but softer . More floral in the end, but still a different fragrance. It is less green than it's predecessors. It's a very soft and warm fragrance, and could be worn anytime, day or night. 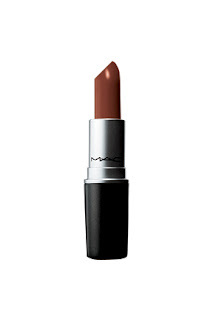 It wears well, with soft to medium sillage and good lasting power. I am a fan of the Michael Kors line in general, and I have both the Original and Sheer versions. This is a nice addition, and to my nose, a bit better than the original, but in a tie with Sheer. Lancome has released a new mascara aimed for major curling, and for those who don't want to fuss with curling their lashes before mascara application( that would be me). I don't do the curling thing, but like the idea of long , curled lashes. I haven't tried this yet, but it sounds promising, and Lancome has always had great mascaras. I used to love Aquacils from way back, and am using a Definicils right now. ( It holds up really well in this steam heat of weather we've been having). and divinely lengthens lashes for hours on end. curve that lasts up to 12 hours. mascara in Lancôme consumer test history. Olivier CREED, sixth-generation master perfumer, presents Amalfi Flowers, the new limited-edition fragrance for women that captures the euphoria of sunrise in the garden of Villa Rufolo on Italy’s shimmering Amalfi coast. A heart-lifting aria of fragrance, Amalfi Flowers lives only once. Three hundred seventy-five bottles are offered worldwide, each wrapped in Italian leather the hue of Amalfi terra cotta (1.7 ounces, $270, Saks Fifth Avenue exclusively). Sixty flacons signed and numbered by Mr. CREED are offered (8.4 ounces, $450). As Olivier CREED and his son, Erwin, walked the garden paths of the exquisite Villa Rufolo perched above the Amalfi coast, the first light of dawn and morning breezes stirred a soft harmony of scent. Plump Amalfi lemons, roses of Ravello and bougainvillea blended in the Mediterranean air and light. Mr. CREED paused with his son to draft the first notes of Amalfi Flowers, a masterful composition perfected in further travels throughout Italy and in CREED’s Paris workshop over the next several months. The top note of Amalfi Flowers is succulent Amalfi lemon, bougainvillea of Maiori, mandarin orange from Sicily, basil, bergamot, black currant and Jamaican ginger. The middle note is patchouli, roses of Ravello and iris from Florence. The bottom note is ambergris, Parma violets, sandalwood and notes of Russian leather. The limited-edition 1.7-ounce Italian leather-wrapped bottle in which Amalfi Flowers is presented is not only elegant, but also shatterproof and ideal for home, gym or packing in checked luggage. 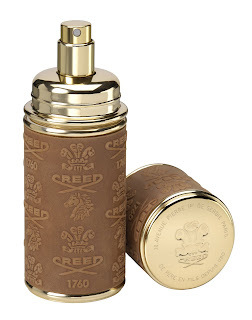 Based in Paris, CREED (http://www.creedcollection.com/) is the world’s only privately held luxury fragrance dynasty. Founded in 1760 and passed from father to son since then, CREED has served more than 10 royal houses and the discerning public for 247 years. MAC has two new collections debuting August 23rd. Both are inspired by the trends backstage at the Spring Fashion Shows in NY. 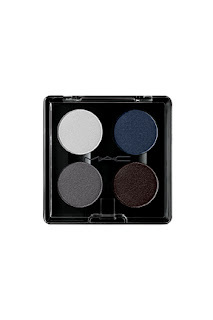 These are for the lovers and blue and grey especially, and are a smoky eye look. I haven't tested them yet, and have only seen a couple pictures but I especially think the nail polishes sound great. 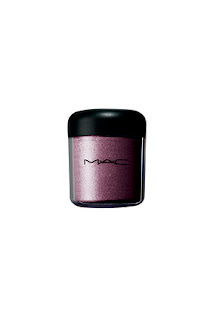 I have always liked MAC nail polishes. UNFILTERED SIZZLE OF THE MODERN BOMBSHELL. SMOKE RINGS OF NEW KOHL POWER EYE PENCIL. 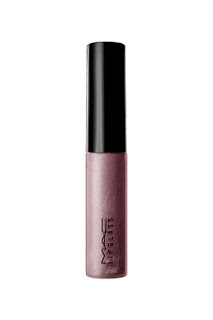 SENSUALLY SHINE-FILLED SHADES OF LIPGLASS. FORECAST TO LAST ALL FALL AND WINTER. Piaffe is a line I have been eyeing for awhile, mainly the White Lilac Velvet Body Cream. It isn't often you see Lilac scented body products. They are also now doing makeup and skincare. The line uses minerals , vitamins and other natural ingredients. "The line was created by Marie Regan, a woman who pursues perfection on horseback and in life. She has designed a line that is opulent in its texture and blended with natural, handpicked ingredients that actually strengthen the skin. Her make-up contains perfectly balanced and long-lasting pigments that color the canvas of the face, eyes, cheeks and lips. Infused with elements that act as a sun protector and an anti-inflammatory, Piaffe is ideal for even the most sensitive skin types. Piaffe’s advanced formulations combine Vitamins A, C and E for superior anti-oxidant protection. 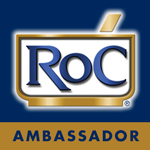 Each product has been specially formulated to achieve a natural, radiant look. " "Inspired by the elegance of the equestrian world and beauty secrets passed through generations, Piaffe is a sophisticated collection of skincare infused with vitamins and minerals that replenish and rejuvenate. The line was created by Marie Regan, a woman who pursues perfection on horseback and in life. She has designed a line that is opulent in its texture and blended with natural, handpicked ingredients that actually strengthen the skin. Paying homage to her Irish heritage, the brand’s cornerstone ingredient is Horse Chestnut Flower Extract, a naturally beneficial ingredient featured throughout the line. The Horse Chestnut Flower Extract improves micro-circulation in the skin, which boosts vitality while diminishing fine lines. The result is vibrant, supple skin. Piaffe features three skin and body care products available in Lemon Verbena, Horse Chestnut and White Lilac, which are nourishing and leave the skin feeling smooth and hydrated." Last month Missoni launched Missoni Acqua, a companion to their Missoni fragrance. Currently it is exclusive to Nordstrom. 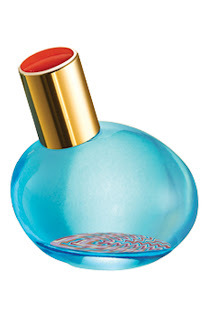 The new fragrance is an EDT and is a bit softer and well, as the name would imply, more aquatic. It is actually a very refreshing fragrance for these super hot days. 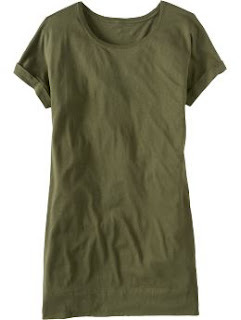 I have worn it a few times and it hasn't overwhelmed. The fragrance was inspired by the " crystal blue waters of the Mediterranean Sea". The bottle is pretty with clear blue or green color and the Missoni print in the bottom. Dewy Greens: fresh grapefruit, vibrant bergamot, juicy melon, sensual narcisse. Sparkling Blues: crisp muguet, velvety violet, blue freesia, voluminous peony. Bond 9 has finally released their new body cremes. I am one of the many who have been anxiously awaiting these, and they sound lush( and just look at those jars). I know whats going on my Christmas list now, well if I can wait that long. Starting with 24/7 New York Body Silk. Bond No. 9 Reinvents Skin Smoothing. 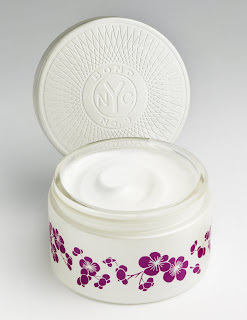 7 unspeakably lush creams that mark the start of our long-awaited program of sumptuous body smoothers that simultaneously soothe the skin in the city that never sleeps. 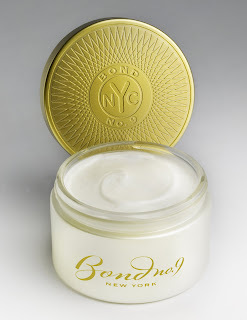 Arriving in stores this August, 24/7 New York Body Silk represents Part I of Bond No. 9’s multi-phase body series. This is a cream so startling in its emolliency that it will instantly entice perfumed smoothness everywhere, including those problem areas, elbows, shoulders, knees—body parts you’d formerly given up on. What’s more, 24/7 Body Silk is so rich in perfume it will leave subtle scent traces on your lingerie and bed linen. Hmm …. Phases II and III? You’ve got to wait until November for the arrival of 24/7 New York Body Lotion; and coming in January 2008: 24/7 New York Body Oil and 24/7 New York Hair Perfume. For years now, our customers have been cajoling and importuning us every which way for skin products to compliment our New York-centric eaux de parfum. But you know us …. Bond No. 9 wouldn’t even think of doing just another bath and body line. If we were going to anoint the skin, we wanted to do so with advanced technology. After all, ours is the world’s most demanding skincare city, a unique urban microclimate that contends with extremes ranging from tropical summers to skittish warm-and-cold winters and monsoon-like thunder storms—to say nothing of air pollution, bus exhaust fumes (unlike any others in the world) rampant skin-drying laser peels, and bug-bites from who knows where. So we spent no less than two years finding precisely the advanced formulas that would convey (and even enhance) the beauty of our scents, while at the same time coddling precious New York skin. We even chose a specialty skincare developer, who devised our own patented high-dose silicone formula that provides a rich but invisible protective coating. Eau de New York. A sense-awakening fruity-floral-green blend of neroli, white lily, gardenia, and skin musk, whose scent molecules positively whiz through the air. Nuits de Noho. An irreverent nighttime gourmand blend of jasmine, creamy vanilla, and sheer patchouli. Has the impact of a shot of icy vodka. Chinatown. Superpower meets Supercity in a sultry, mouthwatering East-West bouquet of peach blossoms, tuberose, and patchouli, with cardamom thrown in for spice. The Scent of Peace. Détente in the form of a sparkling citrussy-woody-musky mélange of grapefruit, black current, lily of the valley, and cedarwood. Bryant Park. 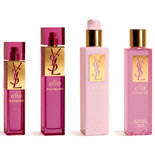 Leading-edge fragrance fashion: a rose-patchouli-lily-rhubarb concoction with pink pepper added for dissonance. West Side. An undulating coloratura blend of dark-light, high-low, sweet-sharp, and floral-woody notes, including rose, ylang ylang, peony, amber, serious vanilla, and musk. Chelsea Flowers. An exuberant fresh-picked bouquet of peonies, tulips, hyacinth, magnolia, and rose, with vetiver, sandalwood, and musk added for a hint of insolence. Available at all four Bond No. 9 stores in New York, bondno9.com, Saks Fifth Avenue nationwide and saks.com. 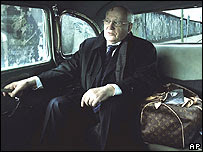 Mikhail Gorbachev is one of the new faces for Louis Vuitton bags. Now that is a strange partership, but it is different than than usual. "Seated in a car, a bag at his side, Mr Gorbachev is pictured beside the Berlin Wall in a new ad campaign. As part of the deal, the firm made a donation to Mr Gorbachev's Green Cross International environmental group. The series of ads also features tennis stars Steffi Graf and Andre Agassi and French actress Catherine Deneuve. The images were taken by American photographer Annie Leibovitz. Company officials said it was Mr Gorbachev's idea to pose beside the Berlin Wall. " 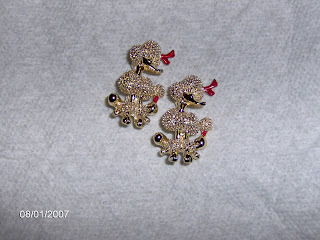 I also did some antique looking, and came up with these cute poodle pins for a whole dollar for both. They will be so cute on sweaters. Lastly, Macys is having a huge sale if you didn't know. They have some good deals on the 75% off rack . Yes you have to dig, but they in there. I got a nice, dark rinse pair of jeans for 2.49. Givenchy is re-launching 10 of its earlier fragrances in the new Les Mythiques collection. 10 streamlined bottles, redrawn by designer Pablo Reinoso, reveal a collection of 4 men’s scents: Insensé, Xeryus, Monsieur and Vetyver; and 6 women’s: Le De, Givenchy III, Eau de Givenchy, Organza Indécence, Extravagance d’Amarige and L’Interdit (“Forbidden”) – originally the personal perfume of actress Audrey Hepburn, a close friend of couturier Hubert de Givenchy. This event, scheduled for October, is part of the celebration of the 50th anniversary of Givenchy perfumes. I rather like the look of these bottles, will be interesting to sniff the ones I haven't before.